Ideal for chewable and soluble tablets, this dextrate delivers the required flow, compaction, taste masking and flavor carrying capacity. It is highly water-soluble and gives a cool smooth mouth feel. Ideal for chewable and soluble tablets, this excipient delivers the required flow, compaction, taste masking and flavor carrying capacity. It is highly water-soluble and gives a cool smooth mouth feel. 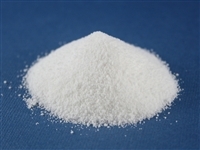 Contains Mannitol, Fructose, Microcrystalline Cellulose, Crospovidone, Colloidal Silicon Dioxide.